Retirement means more free time to do the things you always wanted: pick up a new hobby, spend more time with the grandkids, golf to your heart’s content. But how do you need to adjust your spending habits to make those dreams happen? It turns out there’s no one-size-fits-all solution for everyone. Learn how to rightsize your budget to fit your needs in How to Make Your Money Last. I wish there were some quick rules of thumb for making retirement money decisions. Good rules exist for the young and middle-aged: live on less than you earn, increase the amount of money you save every year, stay out of debt, use tax-favored retirement accounts, and invest for the long term. All the rest is ruffles. When you leave the workforce, however, universal maxims go out the door. Every person and couple is unique. Your financial choices depend on such things as your health, your age when you left work, whether you’re married or single, your spouse’s or partner’s age and health, whether you have a pension, how good your health insurance is, how much (or little) you’ve saved, how much planning you’ve done, whether your retirement was voluntary or forced, whether one of your kids (or a parent) needs financial help, how much debt you’re carrying, how you feel about investment risk, whether you can (or want to) work part-time, and how easy (or hard) it is to match your spending to your means. Managing your spending is key. Nothing matters more to the financial success of your retirement. The stock market isn’t going to save you if you’re burning through money. You can search for better investments later if you want. But first, pay attention to rightsizing your life. Rightsizing means finding that happy place where the annual income you expect for the rest of your life matches (or exceeds) your annual cost of living. That’s not always easy to do or, if you’re a big spender, to accept. But once you’ve achieved that balance—emotionally as well as materially—you will find yourself at peace. You’ll know that you can afford your life. “Jane Bryant Quinn is America’s dean of personal finance….The book is a true treasure chest of financial secrets.” —Forbes. 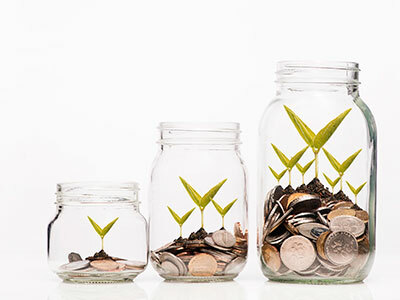 With How to Make Your Money Last, you will learn how to turn your retirement savings into a steady paycheck that will last for life. The right moves will not only raise the amount you have to spend, they’ll stretch out your money over many more years. 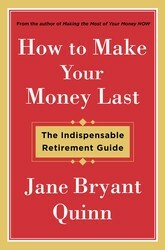 Jane Bryant Quinn is a leading commentator on personal finance. She is author of the bestselling Making the Most of Your Money NOW, Smart and Simple Financial Strategies for Busy People, and Everyone's Money Book. An Emmy Award winner, Quinn has appeared on PBS and CBS News. Her personal finance column currently appears in the AARP Bulletin. She lives in New York City and blogs at JaneBryantQuinn.com.